Hunter Shea's latest is actually a re-issue, thanks to Flame Tree Press, of one of his older titles. Originally published as Hell Hole back in 2014, Ghost Mine is a weird west monster mash that finds two of Teddy Roosevelt’s famed Rough Riders, Nat Blackburn and his compatriot, Teta, squaring off against demonic forces in the abandoned mining town of Hecla, Wyoming. 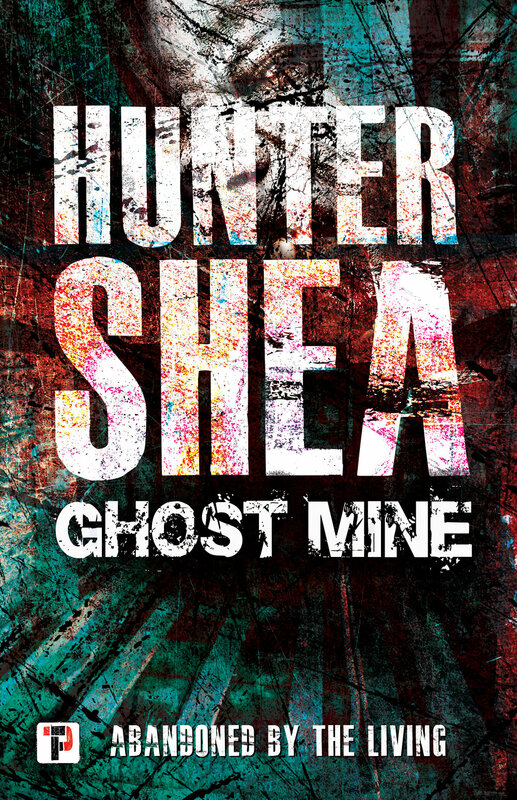 The first thing that struck me about Ghost Mine is that I imagine Shea had a hell of a good time writing it. There's a constant sense of fun infused in this off-kilter story, along with a sort of tongue-in-cheek tone that is absolutely essential to the proceedings. While it's a bit of a grim story, and there is a definite darkness lurking about Hecla, it maintains a proper B-movie level of seriousness, and Shea keeps upping the ante monster-wise, leaving readers to wonder just what in the hell is going on here. The answer, of course, will be left unspoiled here, but I found it to be a terrific reveal as I have a bit of a soft spot for these mythological beasties. The relationship between Nat and Teta is also really terrific. Shea provides a wonderful backdrop for their friendship and demonstrates on more than one occasion just how true and strong their bond is. Both are old-fashioned gunslingers, in the mold of Wyatt Earp and Doc Holliday, or maybe The Lone Ranger and Tonto, with an intriguing shared history that solidifies their partnership. My only complaint about Ghost Mine is that there seems to be at least one action beat too many, and the middle part of the book feels a bit too drawn out and repetitious. There are two characters, Angus and Mattias, a sort of Wild West ghost-busting duo, who prove vitally important to the climax and I could have done with having them introduced a bit sooner. That said, the finale is a raucous amount of fun, and Shea has a knack for describing some truly strange creatures and demons set to oppose our heroes, with a well-constructed callback to Nat and Teta's time in the war against the Spaniards as they find themselves neck-deep in a far stranger battle. Ghost Mine is a fun read to be saddled up with, and I'm hoping we get to see more of Nat and Teta again in the future. Shea’s not afraid to return to previously established characters when the mood strikes, and given certain aspects of American and Native American folklore, there’s plenty of turn of the century hi-jinks these old Rough Riders could get up to if the author’s willing. Then again, I’ve developed a bit of a soft spot for historical horrors, so maybe it’s just wishful thinking on my part. Still, I’d really like to see Nat and Teta ride again, if not into the sunset than at least toward another grand old hell hole.